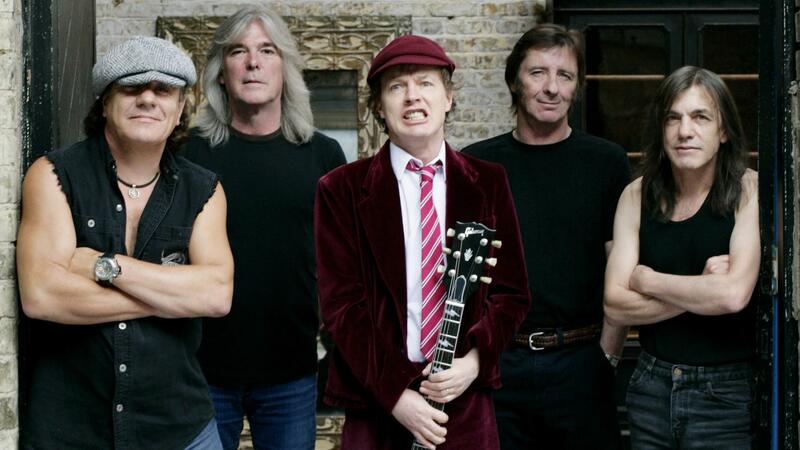 Last month, classic hard rockers AC/DC announced they would be releasing a new album titled Rock Or Bust. They also streamed a new song off the record called “Play Ball” which features the classic AC/DC sound we have grown to love. This came after the sad news that founding guitarist Malcolm Young would be leaving the band due to dementia. Also, drummer Phil Rudd was accused of “attempting to procure a murder” but the charges were later dropped. A new music video for “Play Ball” has been released and it’s great watch. We just hope that the odd visuals and quality was intentional. In between scenes of the band performing over ’80s-style green screen, different types of ball playing ensues; everything from of oversized cars pushing balls to girls playing soccer in the mud. Check out the fun music video below, after the jump. The album is slated for release on December 2 and you can pre-order it on iTunes.